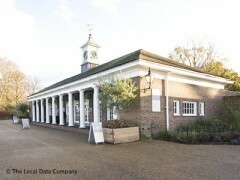 About: Lido is a self-service restaurant located inside Hyde Park near the Serpentine. They serve a variety of International dishes and catering for private parties of up to 120 guests is available (after hours only) upon request. The menu, opening times and entertainment differ in the summer. Found the quality of the food to be excellent value for the location and the quality was above average. Unfortunately the service was unprofessional and at one point we felt threatened and certainly intimated by the chef. We ordered the pasta with butternut squash for ourselves and the burger and chips for our children. We were surprised when both the children had bitten into their burgers finding a hot mustard relish. I returned the burgers asking for them to be replaced without mustard to which the chef came to our table shouting about how much this had cost him and if we hadn't wanted mustard we should of said. Unfortunately the menu just stated burger and chips, we were therefore unaware of additions to what was expected to be a pretty basic meal. Good food shame about the staff!